With a lot of talk about the Dallas Cowboys selecting a receiver early in the 2019 draft, one has to wonder how that would impact the current talent. 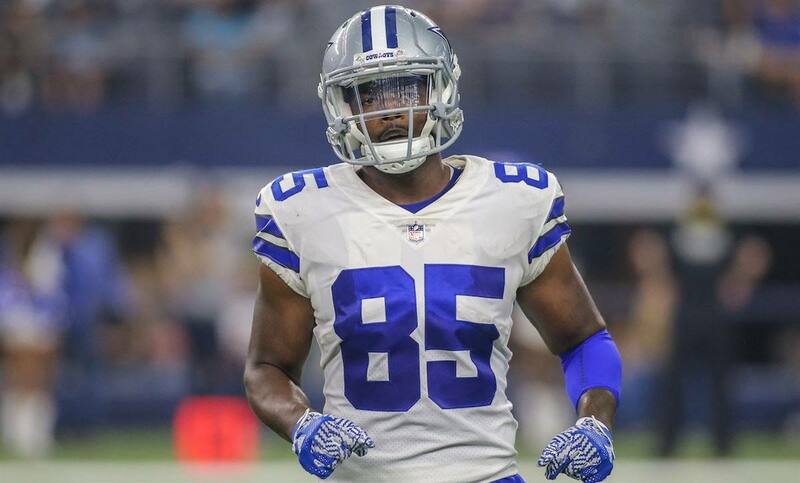 There are already a couple of guys under contract who probably won't make the 2019 roster, so would could be additionally squeezed out if Dallas drafts another receiver? Currently, the Cowboys have six players who all have strong cases for roster spots. The three locks are Amari Cooper, Michael Gallup, and newly-signed veteran Randall Cobb. They are your top-three receivers for next season. Next are veterans Tavon Austin and Allen Hurns, who the Cowboys have elected to bring back. They re-signed Austin to a one-year contract and exercised a team option on Hurns' deal for 2019. Along with them is Noah Brown, a 2017 late-round pick in the third year of his rookie deal. Brown is an intriguing player with strong blocking skills and special teams value, plus he's flashed some offensive ability in limited opportunities. We haven't even mentioned guys like Lance Lenoir or Cedrick Wilson yet, but they will have to really stand out in training camp to force their way onto the roster now. And that's without the team adding any new talent in the 2019 draft. Dallas can keep as many WRs as they want, but needs across the roster generally make it so you can have no more than six. If they draft a guy anywhere in Rounds 2-5, that player will almost be guaranteed a roster spot in 2019.
Who would lose in that exchange? The axe would likely fall on either Noah Brown or Allen Hurns. We've already established the top three of Cooper, Gallup, and Cobb, plus Austin is your return specialist. That means either Brown or Hurns should become the odd man out. Hurns brings experience, having been a 1,000-yard receiver before in this league. But he also bring a larger contract and more cap savings if released. He also could miss a large part of the offseason program recovering from his major ankle injury in the playoffs. Brown is cheap with two years left on his rookie deal. He offers upside, but a newly-drafted player would conceivably offer more. Dallas might rather give that newcomer the opportunities that Noah needs. There is a scenario where Dallas could keep seven receivers. Because Brown's size and blocking ability, they could elect to keep him instead of a fourth tight end. What's more, there's a chance that both Hurns and Brown could be gone if Dallas drafts a significant receiver. That might try to get Brown to the practice squad and then dump Hurns for the cap savings. This time of year it's easy to get excited about the next wave of rookies, but someone typically loses on the other end. Sometimes it's a guy we've been excited about in the past, like a Noah Brown or Cedrick Wilson. 2019 won't be any different. If Dallas drafts a WR with one of their earlier picks, somebody is going to lose their spot as a result. We'll find out if anyone's job is threatened in a few weeks.